Click the play button below and I’ll read this article to you like your favorite story book! Licensed Naturopathic Doctor + Acupuncturist + Founding Boss Lady of vibrantnaturalmedicine.com. Not only is Sara a sparkly client of mine but I’m also a client of hers. When you visit Sara for one of her acupuncture treatments or naturopathic medicine sessions, it feels like your sitting with a steamy mug of tea, dishing what’s truly going on in your life to a bestie that is compassionate, intuitive, passionate, and bubbly, all while being a complete professional. Not only has she been instrumental in my health + wellness journey to overcoming chronic pain, sleepless nights, and dealing with unresolved emotional stress, but over the past 8-months Sara has become a beautiful friend. 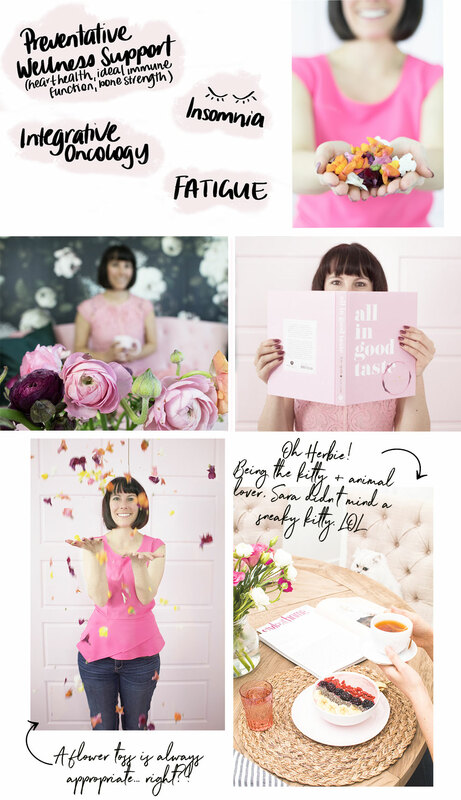 At the end of one of my acupuncture sessions, Sara expressed that she was ready to introduce her new business to the online world but was feeling scared and completely overwhelmed with where to start, how to pull a website together, or even who to ask for help. 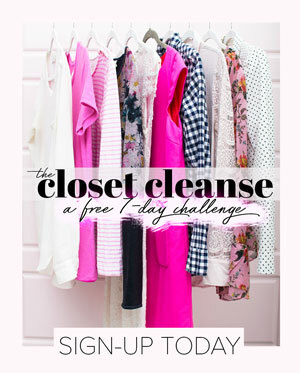 Immediately, I knew I’d love to work with Sara to create a website and ease her newbie ladypreneur mind… but I also knew I could use my sparkly gifts to create her a truly unique brand that highlighted all the magical things that make Sara (and what she does), so special…all while attracting her ideal clients. a typical health + wellness industry logo. they definitely didn’t speak to her sparkly magic. 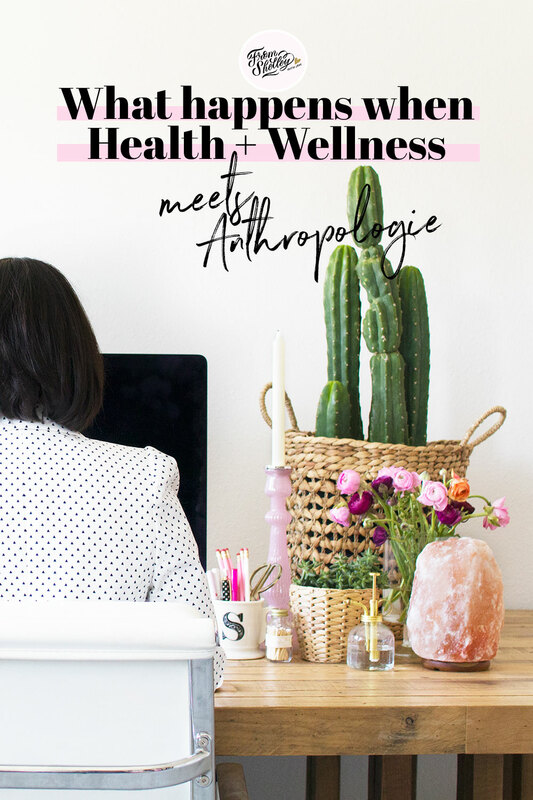 I wanted her website to capture the feeling I had in her office – that I was talking with someone that deeply listened and totally got me, that was warm and empathetic, and that was approachable and collaborative in creating my personalized wellness plan. 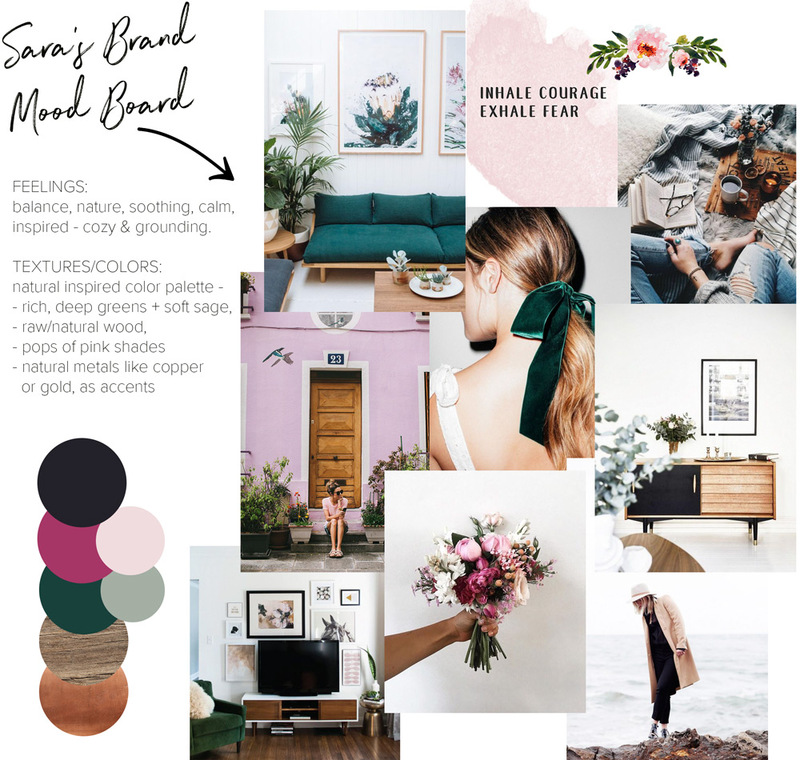 My mission: create a brand that stood out in the sea of wellness brands of greens + browns while designing the type of brand her ideal client would feel connected to. 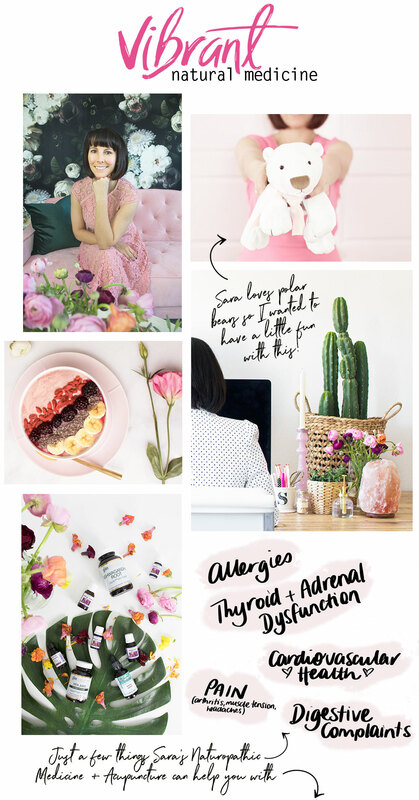 Armed with a personalized mood board, a collection of words & feelings we put together that represented the dreamy vision Sara had for her business, I began waving my glitterwand to create the bright and shiny new online home of Vibrant Natural Medicine! Now Sara’s business branding is no longer bland, boring, generic. It’s more reflective of her personality and the clients she wants to work with. Vibrant Natural Medicine is like Health + Wellness meets Anthropologie! “Seeing the website live was the most exciting part of the experience!!! Getting to see all of the pieces we had worked on (copy, branding colors, templates, pictures) for so many weeks come together into a beautiful, creative masterpiece was unbelievable! I loved that you provided multiple design/strategy/process options and were completely honest with suggestions. This along with your responsiveness, punctual delivery of tasks to our deadlines, and fixing unforeseen problems that inevitably crop up in the online world, made me confident that you were providing me with the best advice for success. My heart is so full that I could play a small part in Sara’s business journey. 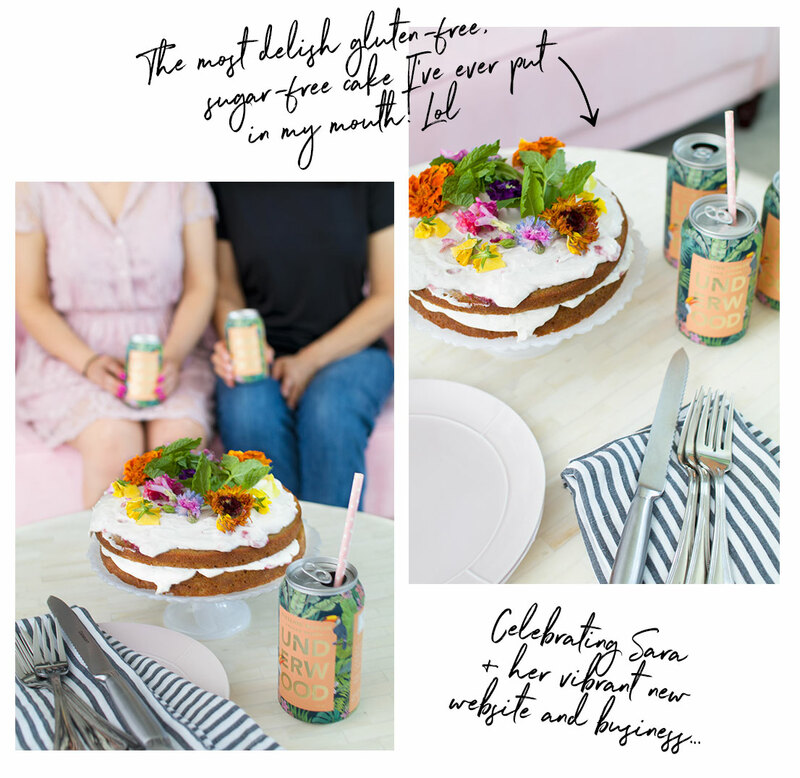 To celebrate, I’m throwing Sara a mini Glitter Gang Launch Party in a few weeks – you can catch all the behind the scenes fun on Instagram here! 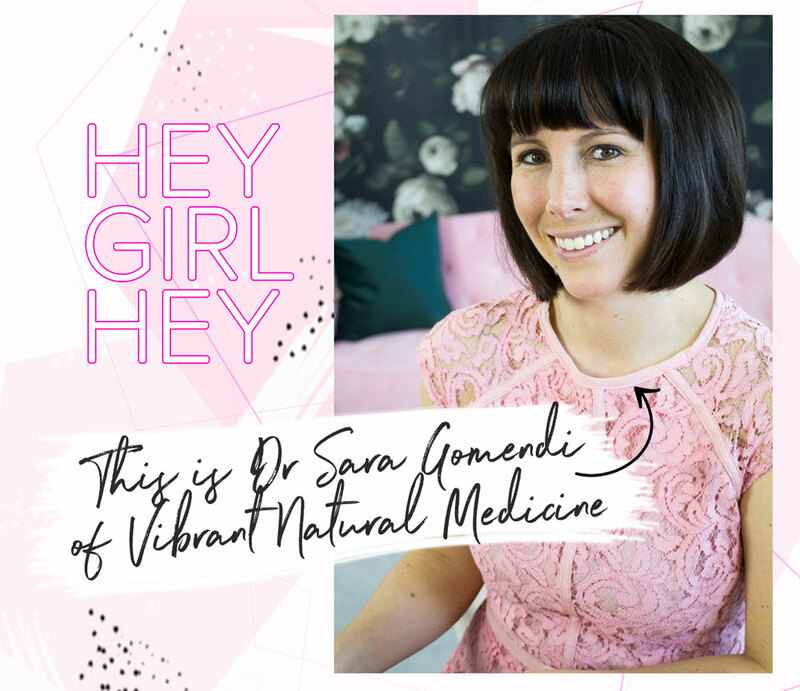 Head over to vibrantnaturalmedicine.com and leave a little welcome comment on one of Sara’s recent blog posts or download her Dreamy Sleep Preparation Checklist here. If you’re ready to sparkle up your brand and business this summer, I’ve got some big news to share next week that you don’t want to miss. It’s amazing to think how much you helped me accomplish during this time! I can’t imagine these feats being possible without your support and creativity! You are the best woman to work with in this business! Thanks for everything!